One of the important drivers of influenza virus evolution is mixed infection: Infection of the same individual with two different strains of virus, which can then reassort to generate brand-new viral genomes. 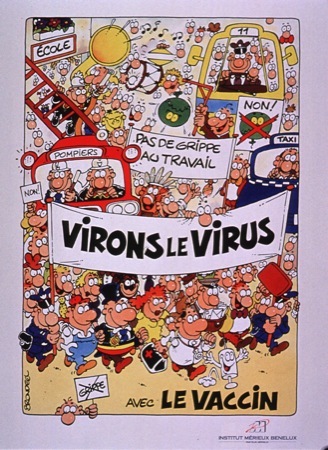 This presumably what happened, for example, with the recent swine-origin influenza virus (SOIV): some pig was simultaneously infected with North American swine flu and a Eurasian swine flu, the two reassorted so that two of the Eurasian virus’s segments joined with 6 of the North American segments, and the new virus thus produced turned out, just by chance, to be good at infecting humans. Reassortment, notoriously, can generate rapid large changes in the personality of the virus. Pandemic influenzas have been reassortants, unrecognized by the population’s immune systems. But that’s not the only possible outcome; reassortants between closely-related viruses can lead to small changes, reassortants between two circulating strains would still be recognized by the immune response, and so on. Reassortment per se isn’t inevitably devastating, the big concern is reassortment between widely-differing viruses — human and avians strains being the major issue today. I’ve tended to think of multiple infection and reassortment as quite a rare phenomenon. Reassorted influenza viruses appear and circulate relatively often, but not, you know, daily;1 and those are the product of millions upon millions of infected individuals. On the other hand, most reassortments are probably either dead on arrival (their different segments are simply not compatible) or at best very unfit (their different segments make them easily outcompeted by the wild flu that’s already well adapted to the individuals in question). That means we don’t know the frequency of reassortants, because most of them would be invisible to us. I’ve also tended to think, perhaps naively, that multiple infections would be a little unusual, because the timing would have to be fairly precise. Viruses generally rely on a couple of days of relative peace (immunologically speaking) to quickly replicate and bank a virus load that then keeps pace with the increasing immune response. If Virus B tries to infect you a couple of days after Virus A is already present, Virus B is going to run right into the thick of the immune response to Virus A, never have that chance to bank its progeny virus, and you’d expect it to be quickly overwhelmed. So you probably need nearly simultaneous infections to get a real multiple infection. Another, in New York, was infected with two different influenza strains that are antigenically distinct — that is, viruses that would require different vaccines for protection. Remember that influenza vaccines are customized, year by year, to match up against the dominant circulating virus of that particular year. This patient would have needed two distinct vaccines to get adequate protection from his two infections. A third, “even more dramatic” example was another New Yorker who was infected with two viruses that were not merely antigenically different, but that came from two distinct, broad groups — influenza A and influenza B viruses. I don’t think A and B can reassort, or at least the progeny would be very unlikely to be fit, but it illustrates that very mixed infection is quite possible. It’s important to note that they were looking for mixed infection, not reassortment. Reassortment woud be much less common than mixed infection — you need mixed infectio nfor reassortment, but it’s not inevitable following mixed infection. Still, the background of mixed infection seems to be rather higher than I thought it would be. If I were infected by two completely different strains of flu a couple days apart, how much would the first ramping-up immune response help against the second strain of flu? Is just getting the innate defenses fired up in the nose and throat and lungs enough to keep the infection under control? It seems like I’d need the right Tc cells to actually clear the second infection, and until then, infected cells would be cranking out virus particles which would still be managing to spread to nearby cells in my lungs. 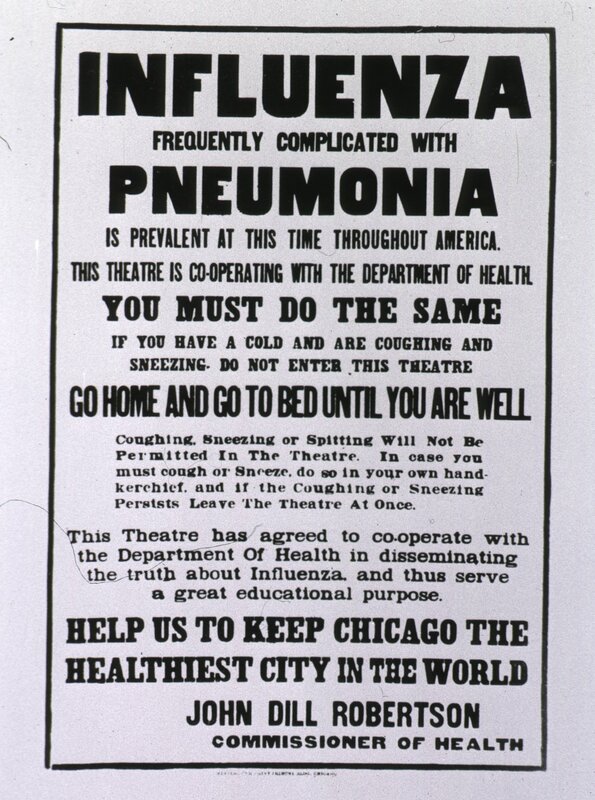 On the other hand, I gather H1N1 has displaced the seasonal flu in some places. I’d assumed the mechanism here was making people sick so they didn’t move around and spread the seasonal virus. Is it more likely to be this immune response? If I were infected by two completely different strains of flu a couple days apart, how much would the first ramping-up immune response help against the second strain of flu? I was thinking about innate defenses, especially interferon. Interferon (induced by many viral infections) induces a general anti-viral state on neighbouring cells and even systemically (it’s part of the fever response). Other cytokines similarly increase generic antiviral resistance. Almost certainly you do need an adaptive (T cell) response to eliminate the infection altogether, but the innate response generally markedly reduces viral replication. It’s telling that virtually every pathogen has some way of dealing with the innate response (often blocking interferon induction or inhibiting its effects) whereas viruses that block adaptive immunity are relatively unusual. Once again, you made it to my weekly “Picks of the week” of posts in molecular biology aggregated in ResearchBlogging. does “different” include viruses that differ at a single nucleotide ? will likely outcrowd the mutated one. Good questions. Off the top of my head, which isn't wise because the information is probably out there, I think that there's probably no such thing as two identical flu viruses (maybe I overstate, but not by much) – they exist as a quasispecies cloud. So if flu infection starts with more than one virus, then you're probably being infected by multiple different viruses. (However, note that in the case of HIV, which is certainly a quasispecies, it looks as if new infections usually do being with a single virus, and all the variability is lost at each new infection and has to start over). But then recombination would look just like mutation — that is, the background mutation rate would be at least as likely to generate new sequences as would recombination of these two closely-related viruses. So it's almost pointless to even think about the scenario of co-infection with closely-related viruses, because you're not going to get out of it anything that you wouldn't get out anyway. If that makes any sense. > (maybe I overstate, but not by much) – they exist as a quasispecies cloud. more than one = multiple. Usually 2, I guess. identical (>99%) since they found their way into the same droplet. > new infection and has to start over). seems to happen in flu also (>80%,IMO). Else we should see more mutations. I don't know much about other viruses. > you wouldn't get out anyway. If that makes any sense. and mutation during replication should be the better balance of the concentrations. from previous replication cycles. One cycle = 6-10 hours. >> most flu-viruses (>90% in a host I guess) are still identical, genetically. >> We only see ~40 mutations accumulated per year, one every 10 days. >> Most mutations are synonymous and selection should have little effect. > and cycling through multiple hosts. > and that's very high. very high = 3*10^-3 per position per year for flu-A, that's what you usually find. > replication incorporates at least one error. 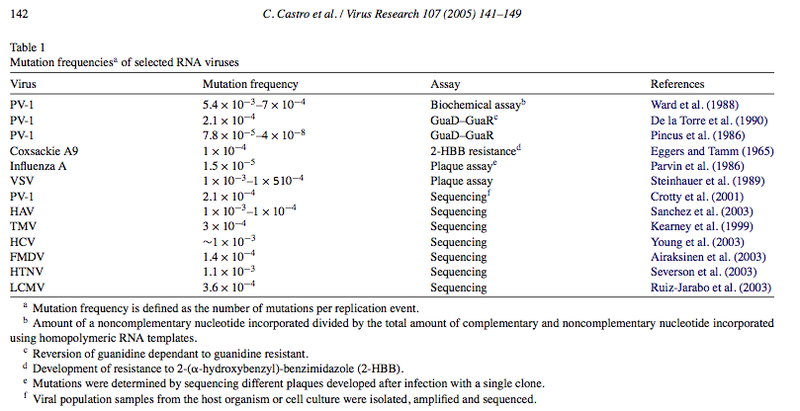 > –Rates of spontaneous mutation among RNA viruses. John W. Drake. Proc. Natl. Acad. hmm, 1993. Now we have genbank. > in a host are different. it can't be. That's simple logics and not virology and I'd bet on it. > I've posted (including the post you're replying to), or papers I cited in those posts. maybe. Just what I found when searching. Maybe I can complete/improve it later if you want. You're simply wrong. This isn't guesswork, it's basic virology. Oh, come on. I cited a 1993 article to show this is basic and has been known for decades. This is absolutely basic, first-year-undergraduate, virology — RNA-dependent RNA polymerases are highly error prone and make, as a reasonable average, one error per genome per replication, and therefore RNA viruses exist as a quasispecies, a cloud, not a single sequence. It can be. It's simple math and simple virology. Given a typical RNA viral genome of 10,000 bases, a mutation frequency of 1 in 10,000 corresponds to an average of 1 mutation in every replicated genome. If a single cell infected with poliovirus produces 10,000 new virus particles, this error rate means that in theory, about 10,000 new viral mutants have been produced. This enormous mutation rate explains why RNA viruses evolve so readily. For example, it is the driving force behind influenza viral antigenic drift. That means that, far from 90% of viruses in a host being identical, essentially all flu viruses in a host are different. Thanks for posting those links, but you'll notice that most of them are either things I've posted (including the post you're replying to), or papers I cited in those posts. Please, instead of taking some casual on-line approximation as a “third opinion”, look at the actual peer-reviewed literature that discusses the observations, how they're observed, weaknesses and strengths of each observation, etc. I've given you some references, Vince has given you some pointers if you read the article I linked to. There is simply tons of stuff on this, you don't need to resort to online throwaways. That claimed error rate is simply wrong, it's 10-fold off. If you need more pointers, a useful starting point is Virus Res (2005) 107:141-149, which specifically explains why that error rate is a vast underestimate and gives a long list of determined error rates. Please, do some real reading, and some thinking, before you post on this again. You are starting with a correct observation (the 40-ish per genome per year, on a population basis). Instead of using this to reject a fundamental fact of virology, you need to understand how the two observations are consistent, and what that means for natural selection on the virus. 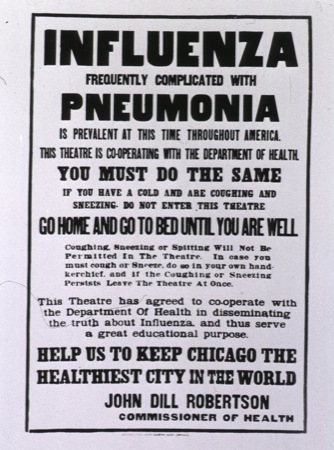 It's a very interesting and really profound connection, and you can't possibly understand influenza until you put these two facts together.